been marked red during inspections. 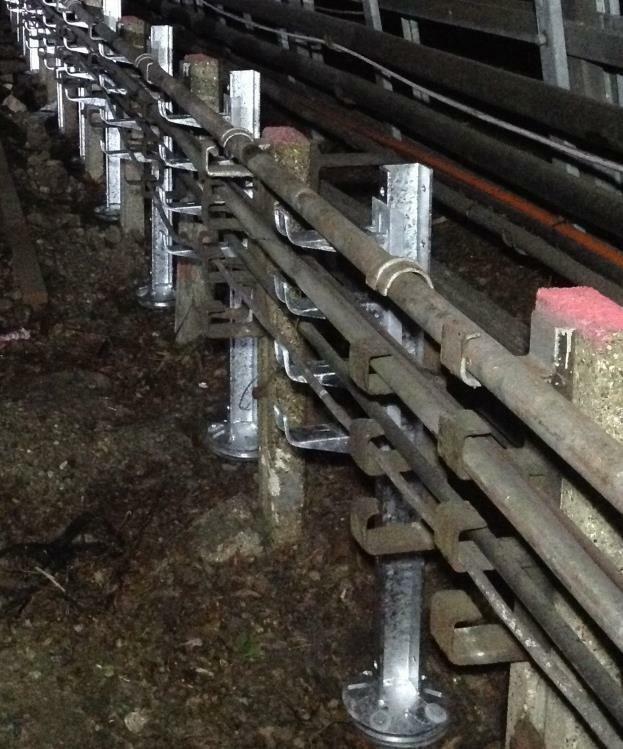 SPCM were asked to create a solution with the use of the patented Anchor Post foundation solution to form a suitable economical and health and safety conscious replacement cabling system. Anchor Systems (International) Ltd (ASIL) were engaged to form part of the team with SPCM to create the solution in line with LU’s requirements. The main focus was to replace the failing concrete cable posts without removing the concrete foundations supporting the existing concrete cable posts. 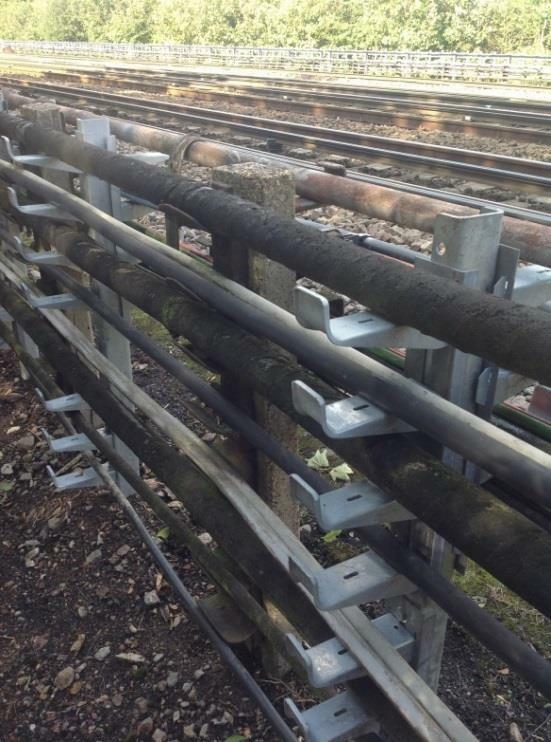 Both SPCM and ASIL trialled some initial proposals and then developed the Single Support Anchor Post (SSAP) solution that has now been adopted as the solution of choice for replacements to the failed concrete cable posts. ASIL redeveloped the Anchor Post solution to form a maintenance Anchor Post solution to accommodate the complex method of installation. The Anchor Post was redeveloped into two parts to allow for ease of installation/insertion between existing concrete cable posts as well as insertion into existing concomitant routes to increase cable carrying capacity. 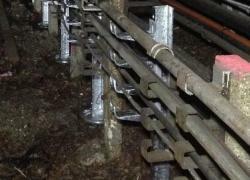 SPCM aided in the creation of the installation methodology to accommodate the retrofit technology. A number of stringent checks and measures have been built into the installation methodology to assure the retrofit is robust and able to assume a design life of 50 years. On some of the cable routes the concrete posts have been left in position reinforced with SSAP on either side of the failing concrete posts. 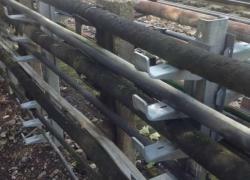 It is anticipated that when the existing cable post fails the SSAP will naturally take over the loading of the cables. In other positions the existing cable posts have been removed and the SSAP fully installed to take full loading of the existing cables. A significant number of concrete cable posts have been removed from circulation as a result of this retrofit technology and significant savings have been achieved as a result of the Anchor Post technology and the minimal works required on site from its use.